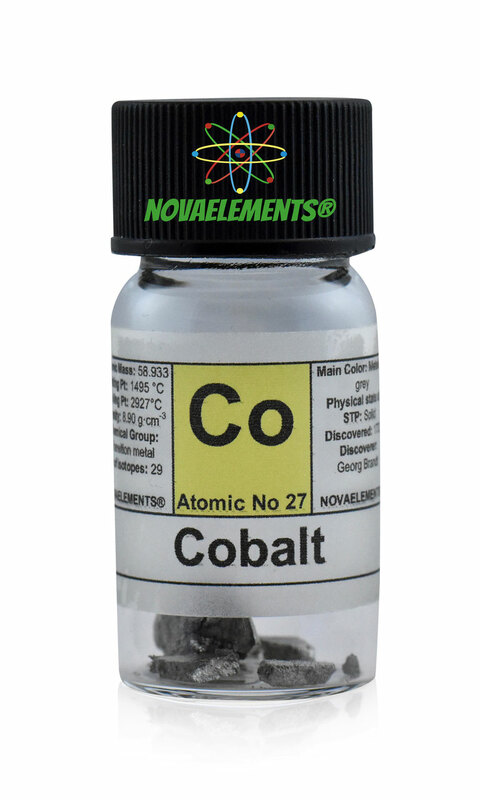 Cobalt is one of the transition metals with chemical symbol Co and atomic number 27. 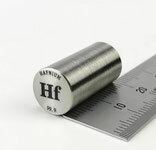 It is solid and silvery-grey at normal pressure and temperature, it's very strong to cut. Cobalt metal is another dangerous metal, do not touch without latex gloves. 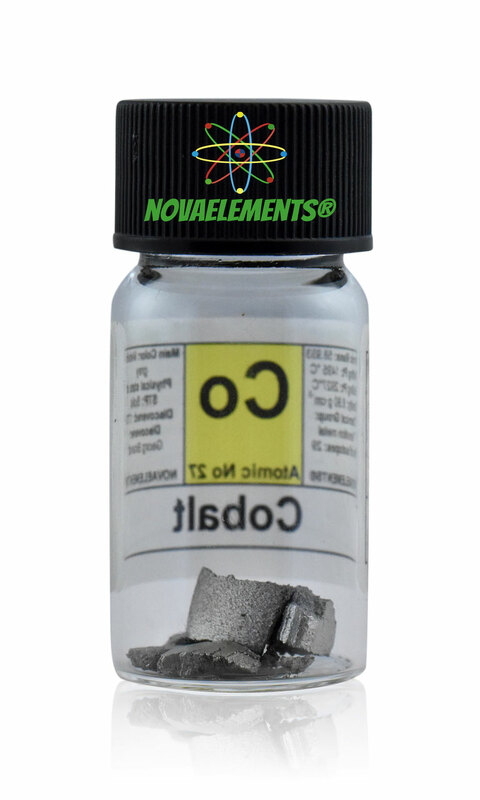 We suggest this element at various purity like 99,9% and 99,99% in a 7 mL or 5mL glass vial with about 2 cm of diameter. We usually use cobalt pellet or cobalt electrolytic flakes both very shiny. 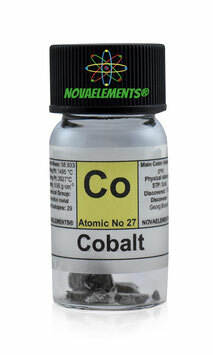 High purity Cobalt metal pieces, element 27 sample, 2 grams 99,99% in glass vial with label. Pure cobalt metal element. High purity Cobalt meta rod 99.95%, pure element 27 Co sample. 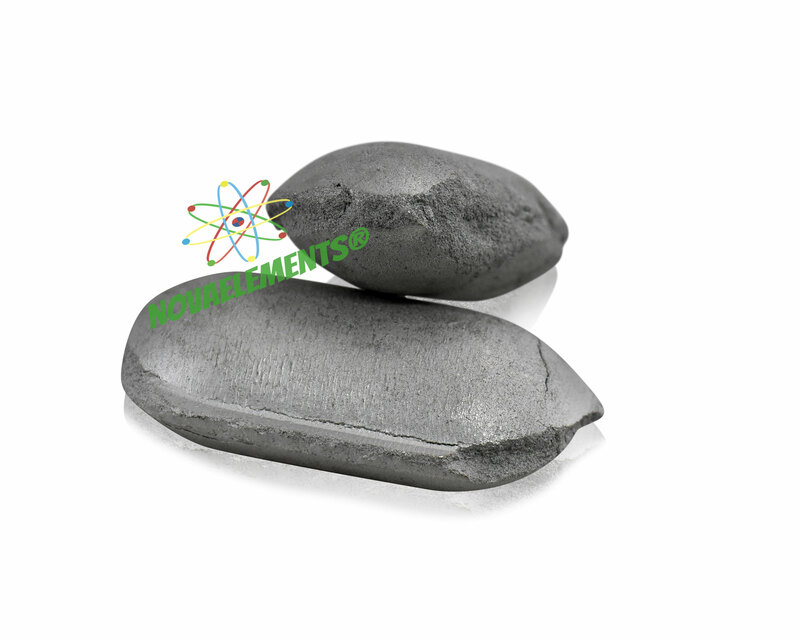 High purity Cobalt metal pellet element 27 sample of more than 2 grams in glass vial. Pure cobalt metal element. LAST PELLET AVAILABLE >2 GRAMS !! !